Samplepad Pro is an all in one percussion instrument that features eight isolated ultra responsive pads and hundreds of professionally recorded contemporary sounds. It is fully compatible with any MIDI equipped pads and triggers and it also has a direct USB connection to your computer. You can also load your own samples into it via the SD card slot. This is everything you're looking for in a pad based instrument. 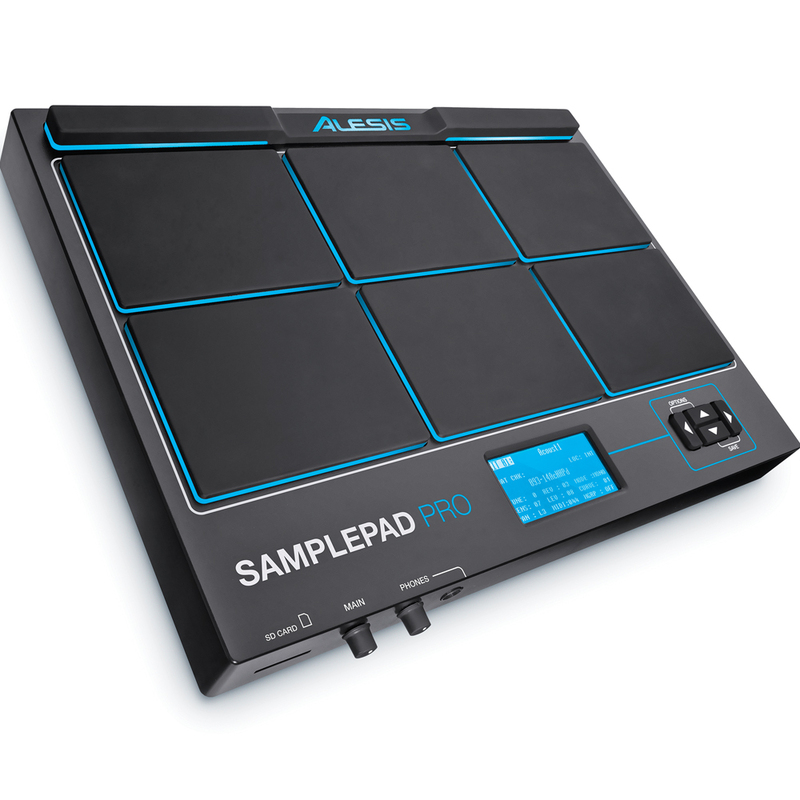 The Samplepad Pro has a streamlined design and the top surface is intentionally uncluttered and minimal to help provide intuitive access to all parameters. The expressive rubber pads offer a great feel designed to accommodate every level of performer from beginners through to seasoned professionals. The Sample Pad Pro also has two trigger inputs so that you can connect additional pads, there are also kick drum and hi-hat pedal inputs. Both switch and trigger options are available for the kick pedal whereas the hi-hat pedal can be set to either switch or variable operation. 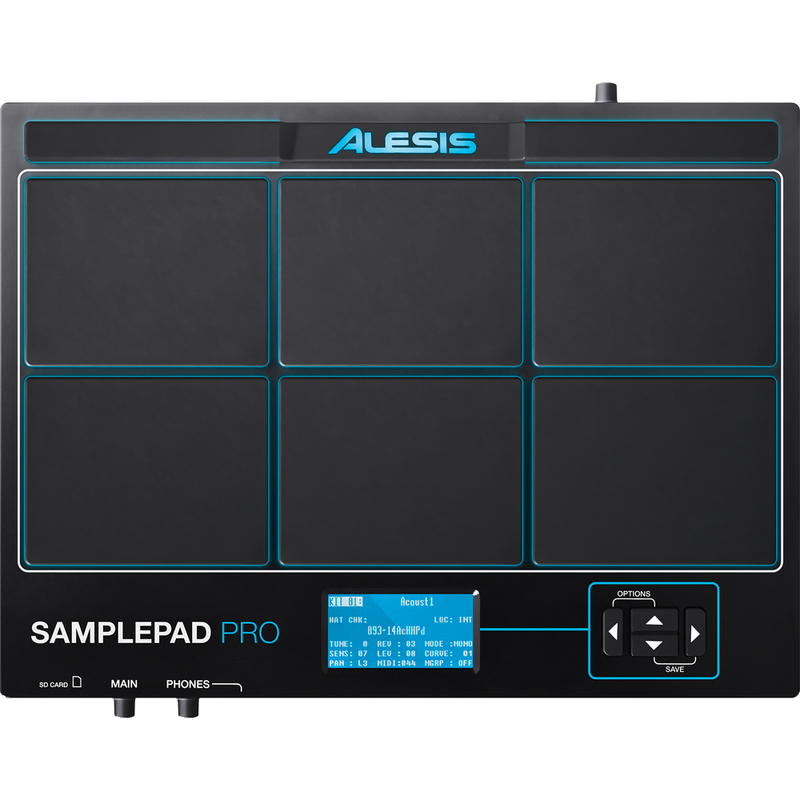 The Samplpad Pro features over 200 percussion sounds which have been meticulously crafted by the Alesis team. The sounds have been arranged into 10 drum kits and can be accessed instantly during performance. 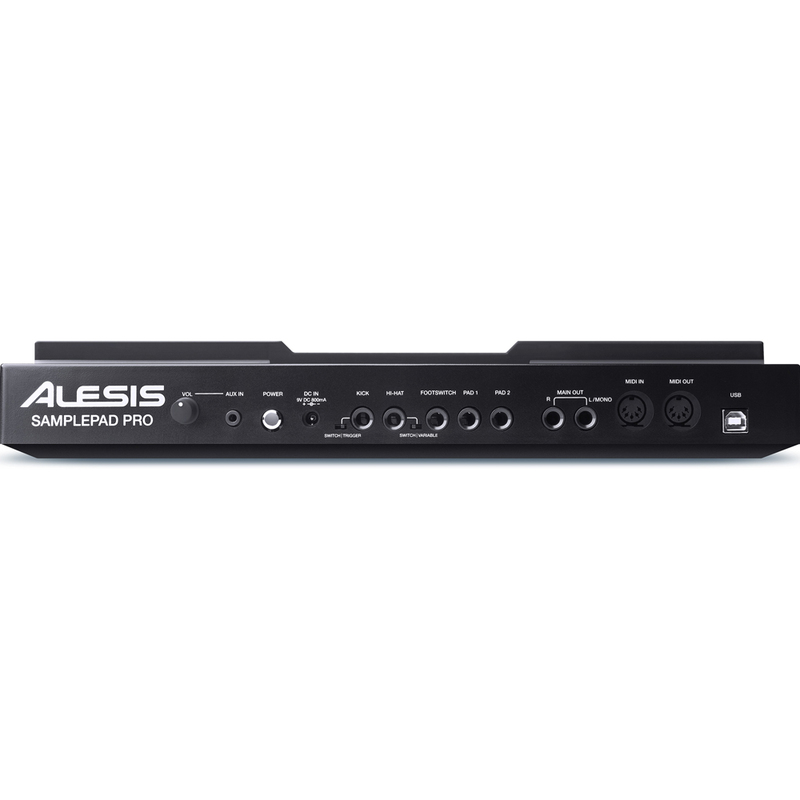 The Samplepad Pro offers standard 1/4" outputs as well as a headphone output with a dedicated volume control. It also features an AUX input, again with a dedicated level control so you can jam along to your phone or MP3 player. Excellent product, realistic sound and feel. Compact and professional. First class service, competitive price, on time delivery and excellent correspondence, whats more to say? Many thanks to thediscdj store, for my Alesis sample pad pro. The item arrived the next day and was very well packaged. Am having loads of fun with my new hardware, and will shortly be in touch to purchase a few accessories. again many thanks..